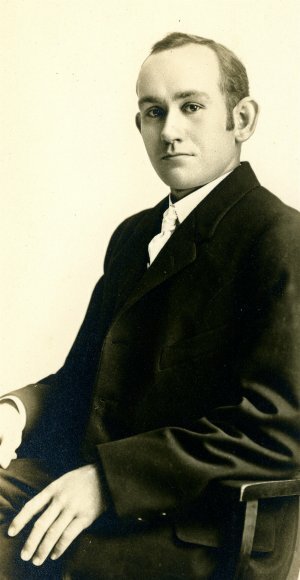 Raymond was seventeen when has family moved to Long Beach from Pasadena in 1902. Mr Mussetter was just 22 years old when he began building houses in Long Beach. He was known to be the "youngest house builder in Long Beach" from 1907 through 1910. Mr. Mussetter was a prolific builder until the early 1930's. Unfortunately, the depression came and Mr. Mussetter went bankrupt. Many of his properties remain in Long Beach. Mr. Mussetter's projects were featured several times in the Long Beach Press Telegram in the early 1900's. His advertising read "Bungalows - A Specialty". During the depression, Mr. Mussetter left Long Beach and settled in the Auburn area. His grandchildren remember him as a hard-working , smart and personable man. He was known to have many friends in Long Beach and to be well-connected.